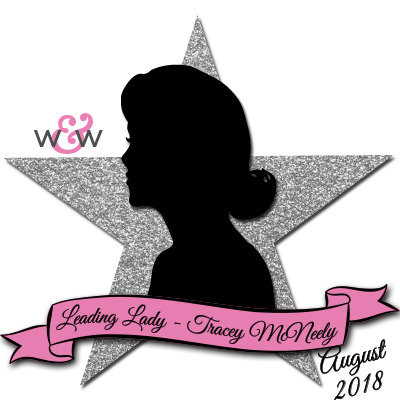 Our August Leading Lady, Tracey McNeely is back for her triumphant third performance! If you missed her smashing debut you must see it...CLICK HERE or her sensational second performance all about backgrounds CLICK HERE. 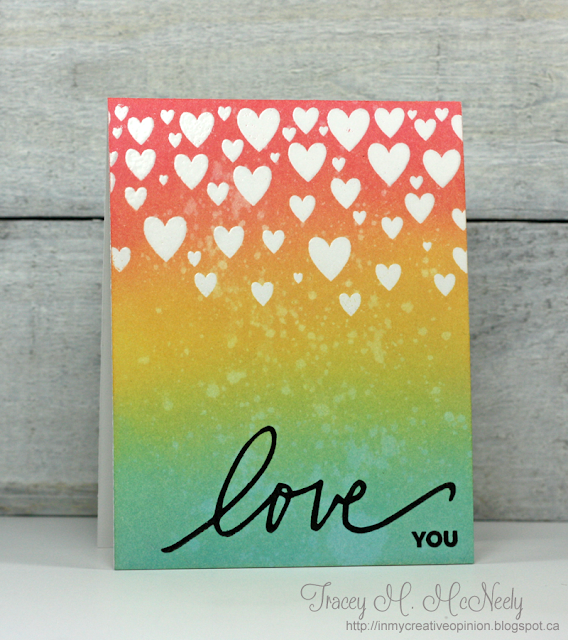 It's time to get inky as Tracey has a couple of awesome cards to share! Gorgeous blending, Tracy! I love the simplicity of these cards, and yet they have such a gorgeous look. I really love the font on the "love" you... That set is awesome. Love these pretty background ideas! Great color combos! Lovely cards. Wonderful DOx techniques. I need to use my DO inks a lot more & you've inspired me with these beauties! Tracey, I must say that I am very impressed with your ability to blend the Oxide Inks. The first card is so vibrant, and I am amazed at how well the red inks wiped off the white embossed hearts. The third card is also striking, and again, I am surprised at how vibrant the inks are after only one diagonal swipe and then drying. Nice work. Such bright and cheerful cards! I love them! Holy cow...incredible color combos and fabulous design. Who could ask for anything more. Pretty backgrounds. I don't own any distress oxides yet. Wonderful cards. Love the Cuddles card and beautiful background. Awww!!! Both these cards are so cute!!! 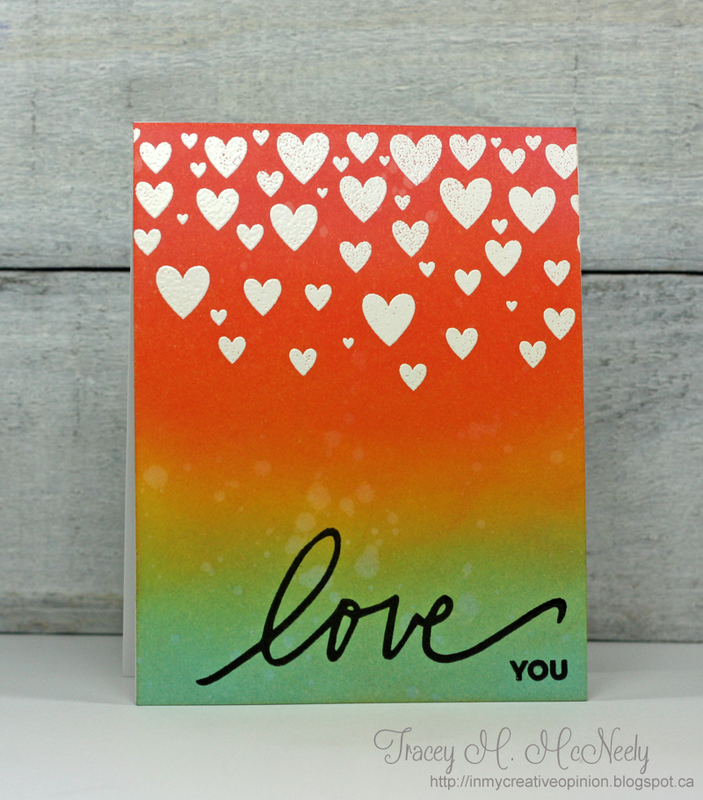 I love your distress oxide backgrounds! They are absolutely beautiful!! Embossed resist is one of my favorite techniques! You get a spectacular result with just a few products and these look wonderful with the Distress Oxide inks! Love the smooth creamy look of the DOs!! Beautiful work. Thanks for the tips on blending. Love, love your cuddle bear n bunny card.